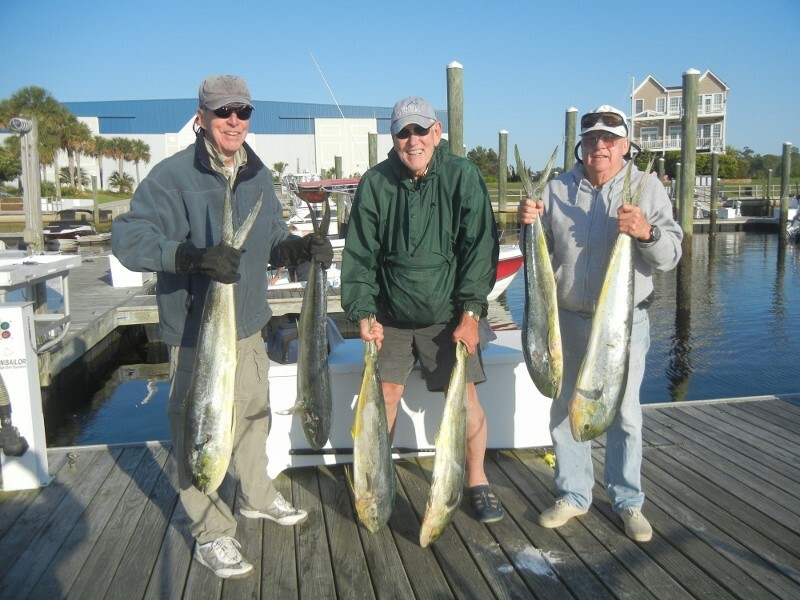 Went to the gulf stream to catch some Mahi mahi for the freezer and look what we caught. Six nice ones and lost a couple more. Two of these guys bought property here, using me as their agent.